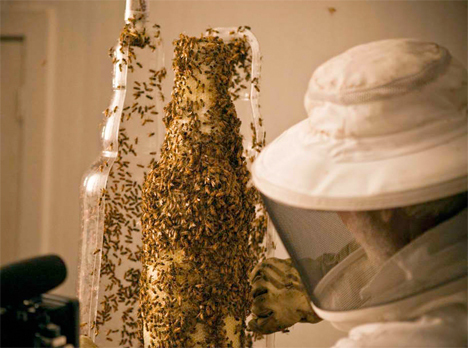 This ‘3D-printed’ bottle wasn’t made by a machine, unless you consider an army of industrious honeybees a machine. 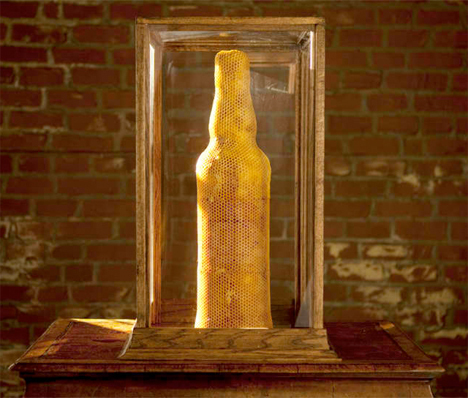 For a new Dewar’s Whiskey campaign, 80,000 highlander honey bees producing the prime ingredient for its new highlander honey whiskey were enlisted to work on a side project: a three-dimensional bottle made of honeycomb. 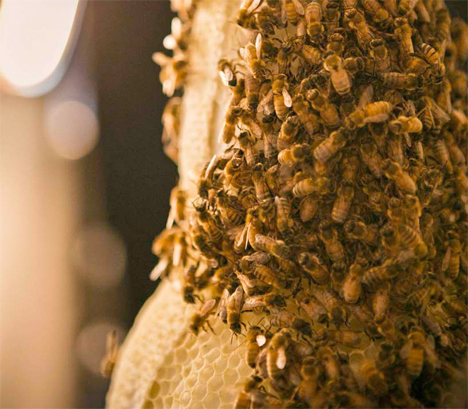 The bees were placed inside a vessel that mimics their usual hive setup in all ways except one: the shape. 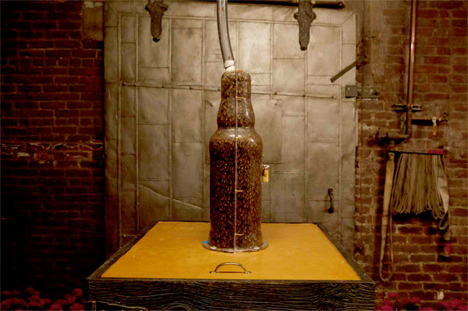 They quickly got to work creating the honeycomb bottle. Sid Lee Creative Studio and The Ebeling Group call it ‘3B Printing.’ Watch the video to see the process in action. This isn’t the first time living creatures have been put to work on creating three-dimensional projects. The MIT Media Lab created a “collaboration between digital and biological fabrication” with a network of silk threads made by a CNC machine, which was then covered in a natural netting made by dozens of silkworms squirming all over its surfaces.